Change is hard. It is often uncomfortable and unwanted, but it is a necessary part of life. Thankfully, kindness is a sort of change that is easy to make. 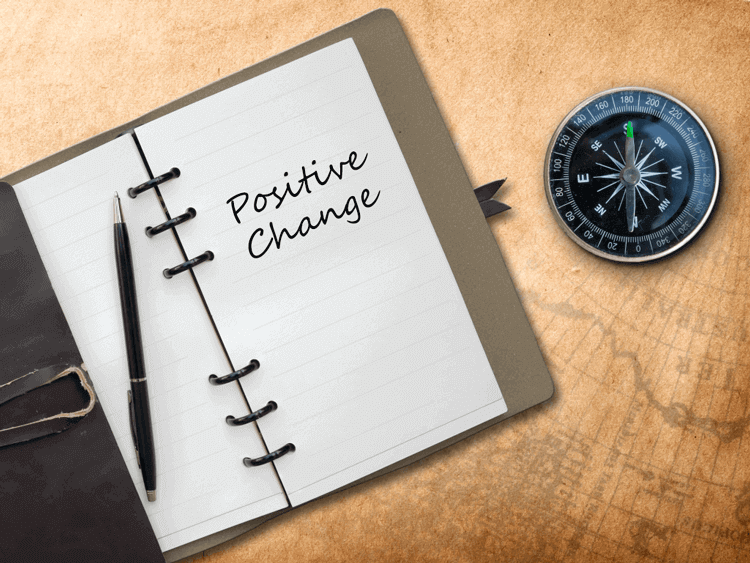 While most of us cannot give a lot of money away to nonprofit organizations or relocate to an underdeveloped country to tend to the poor and sick, this is not the only way to ignite positive change. Here is a great list of 5 simple, yet effective, ways to make positive changes on a micro level. Minimalism is not simply a lifestyle fad, and the benefits of a clutter-free home extend into all areas of our lives. If we learn to let go of some of our countless materialistic ties, it becomes easier to see the importance of things beyond our possessions. Whether that means reducing an ever-growing shoe collection, donating that bottom drawer of clothes not worn, or cleaning out the junk drawer in the kitchen, it will be worth the effort. Once you have fewer things lying around, your life will automatically feel less chaotic and any items that you donated could truly make a difference in the life of someone else. The unfortunate reality of our world today is that no matter where you may live, you will encounter homeless people in need at some point. Volunteering time at a homeless shelter or soup kitchen is not always an option due to busy schedules, but something you could always do is fill a reusable bag with essential toiletries, food, and clothing to keep in your car for whenever you may encounter people in need. Between social media, demanding careers, and all of our electronic devices, it is becoming increasingly easier to avoid human contact in daily life. Take the time to look up and be present in your life. You will open yourself up to opportunities you did not even know were possible. A present person is a real person, and real human interaction results in honest connection. This means that, without distraction, you can be a better listener and engage wholly with the people you encounter throughout your day. Try it, you will be surprised at everything you have missed. Some people have money to give, while others have talents to offer. Whatever means by which you can contribute, do so! That could mean making lunch for your co-workers out of the blue, or volunteering at a community-run program, such as a soup kitchen or animal shelter, once or twice a month. There are endless opportunities within your small corner of the world to contribute, so go find a feasible way to integrate giving into your routine. Another growing rarity these days is sincerity, so it is of the utmost importance to be careful with your words. Do not commit without the full intention of following through. It sounds like common sense, but often times we fail to realize that we do not take people at their word anymore. Help create a world (or workplace, or home) in which people rely on one another to be trustworthy.